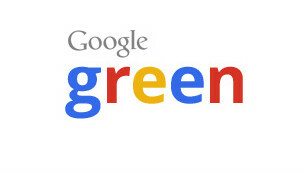 Google has announced an investment of $12 million into clean energy in South Africa. These funds will focus on the Jasper Power Project which is a 96 MW solar panel farm that will deliver clean power for 30,000 South African homes. The project will be located in the Northern Cape province near the town of Kimberly and will be developed by SolarReserve, a company based in California. SolarReserved has in the past raised $586 million for two other solar energy projects in South Africa. The Jasper Power Project will be financed by the developers with other investments coming from Public Investment Corporation, Development Bank of South Africa and the PEACE Humansrus Trust. SolarReserve estimates that the the project of will cost $260 million. The Jasper project will sell the solar power to the South African utility, Eskom. South Africa provides incentives for clean power projects, following a severe energy shortage in the country. Google data centers consume a lot of energy. The search giant is therefore pushing for clean energy in order to reduce its carbon footprint. These investments in clean energy are also expected to make money for the company.